The school will be held at Hotel Arthur, downtown Helsinki, Finland. 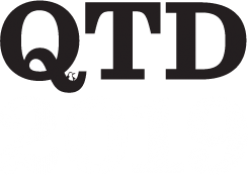 The venue is 20-30 min away from the QTD2019 conference site. Also, Hotel Arthur is conveniently located for free time exploration with both urban and natural presence. Housing must be arranged by the participants. Double rooms for 1-2 persons have been reserved for the course attendees in Hotel Arthur. To make a reservation, call +358 (0)9 1734 4200 or send an e-mail to myyntipalvelu@hotelarthur.fi at latest 7 June 2019. In the mail, please inform your name, arrival and departure dates, and refer to the allotment “EQS2019”. The expenses of a double room is 170-180 €/night, including breakfast. There are plentiful of other options in Helsinki.